Practice Salesforce ADM201 Exam questions? So finally biting the bullet and taking the exam but was wondering if there were any update to date mock exams to take online? From above response, you can follow this website (http://www.salesforce.study/)it will provide you all information using exam topics , Practice questions, Topics with direct open in help in training document. Please take a moment to mark the most helpful post as "Best Answer" to close off this string and help others in the community with similar questions. Get a free developer org from developerforce.com and play with the functionality that is described in the study guide. This is a couple years old but I really like the content that David Liu puts out on SFDC99.com. 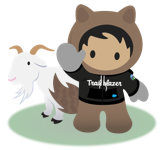 I've had the most luck in looking at the study guide provided by Salesforce and then reading the documentation from each section of the study guide and practicing set-up in a dev org. Trailhead would also be a good place to get some practice in on any areas you're struggling with. Thanks Folks that's incredibly helpful :-) So much information to absorb! On your recommendation have registered for the study materials available on the website suggested. Looks pretty comprehensive with some very good references and an array of quizzes. Validate your ADM-201 Exam learning and preparation with our most updated ADM-201 Exam VCE (https://www.examcollection.us/ADM-201-vce.html). (Examcollection.us) has experienced IT experts who gather and approve a huge range of Salesforce ADM-201 Questions Answers for Salesforce Certification seekers. Practicing our 100% updated ADM-201 Practice Tests is a guaranteed way towards your success in Salesforce ADM-201 Exam.